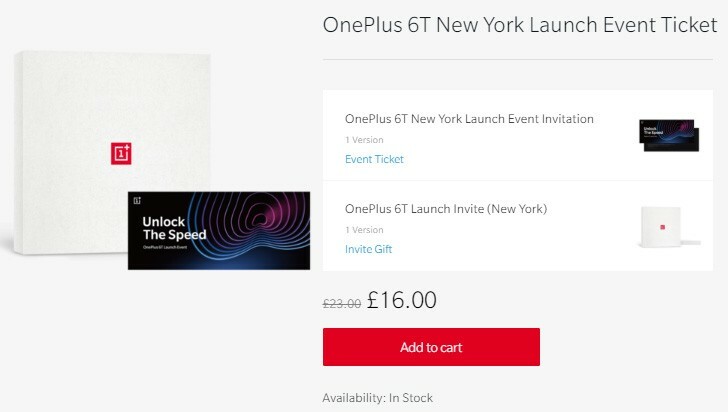 As is tradition, OnePlus is selling tickets for its launch event. For $20/€17/£16/₹999 you can get a ticket and a gift – a pair of Bullets Wireless headphones as well as “exclusive memorabilia”. Plus, you’ll get to experience the OnePlus 6T reveal live. There will be two concurrent events held on October 30. One is in New York at Pier 36 (1,300 spots), the other in New Delhi inside the Indira Gandhi Stadium Complex (1,500 spots). There will be a livestream (on YouTube) for those who can’t attend plus a launch megathread for those who want to chat. It goes without saying that the price of the invite does not include a plane ticket to New York. For those of you in the US and India there’s a chance to win a VIP trip to your regional event. More details on that here. In case you’re wondering why you should pay OnePlus to attend the event, in the past the company has donated the proceeds from the ticket sales. Then there are the Bullets Wireless headphones too.